This statistic shows the number of Twitter followers of Barack Obama and Mitt Romney in the 2012 election, as of November 21. 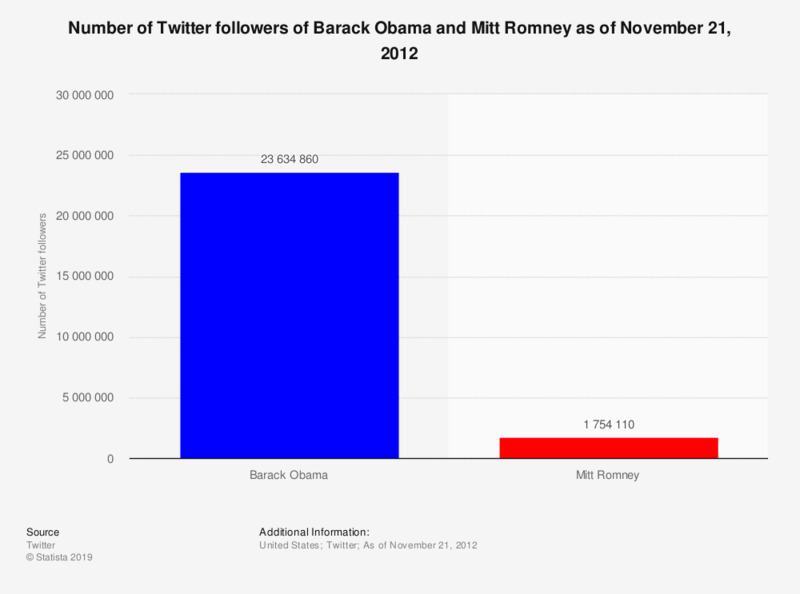 Obama has a distinctive lead on Romney with about 20 million followers on Twitter. The given Weblink only refers to Barack Obama's Twitter page. Mitt Romney's Twitter page can be accessed here.